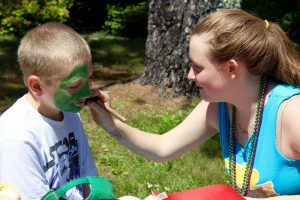 Possibly one of the best and most hyped-up days at camp is the carnival of the summer, the Kerem Carnival. 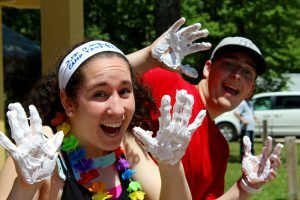 The Kerem Carnival features all the usual things expected at a carnival: a bouncy house, cotton candy, and a dunk tank where chanichim (campers) could watch their favorite madrichim (counselors) and Kerem be dunked into a tank of freezing cold water. The most exciting aspect of the Kerem Carnival which gives the event its namesake are the Kerem-planned carnival games. There were easily more than a dozen different carnival games, with everything ranging from guessing ice pop flavors, to finding small objects in the sand, to trying to toss water balloons without breaking them. Everything that went into planning and running the carnival was most certainly worth it, as this was one of the best Kerem Karnivals ever.